Would you like a career in caring? The Australian Disability Sector needs people who care. Are you ready for a career that helps others? In this short 6 week course you will learn about the Disability Services industry, including Choice & Control, NDIS and OH&S. 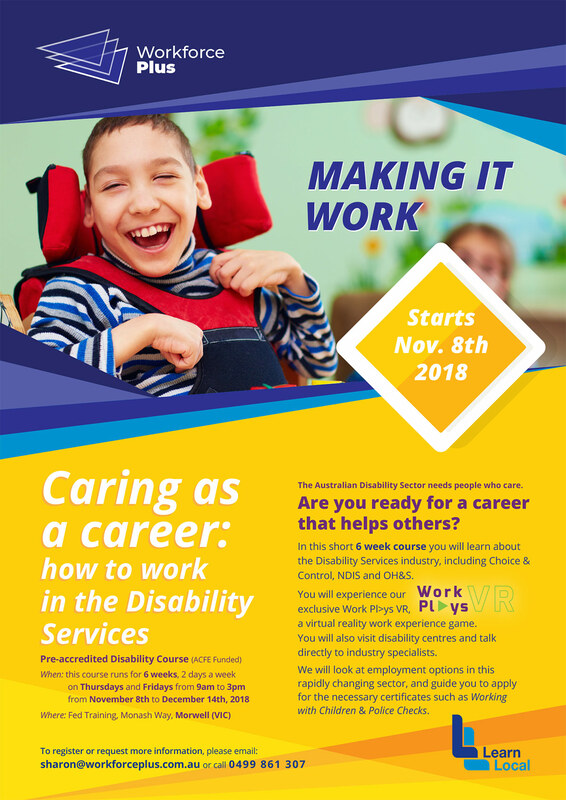 You will experience our exclusive Work Pl>ys VR, a virtual reality work experience game.You will also visit disability centres and talk directly to industry specialists. We will look at employment options in this rapidly changing sector, and guide you to apply for the necessary certificates such as Working with Children & Police Checks.